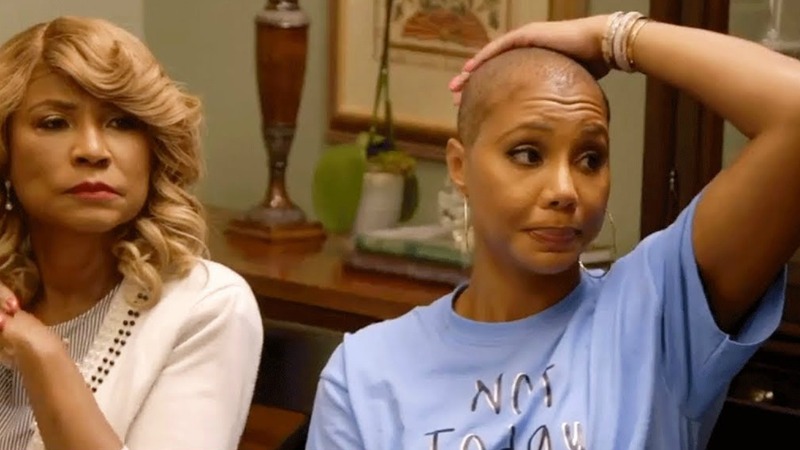 If you watched part 1 of the Braxton Family Values Season Finale last night, then you saw that Tamar Braxton seemed to rub Iyanla Vanzant the wrong way when she showed up several hours LATE for taping. All the ladies and Mr. Braxton had agreed to meet that morning for breakfast, which turned into brunch, and then lunch when both Tamar and Toni showed up late. Toni, apparently, had some type of prior engagement that excused her lateness. But Tamar, who showed up AFTER Toni, got the BUSINESS from Iyanla for waltzing in late while Iyanla sat in her car and ate while waiting for Tamar. I actually can believe that the production company, Magical Elves, set Tamar up to be late. Production companies are known to PRODUCE drama. Just like on Love & Hip Hop, the production company sets people up and then just films their reactions. And if you’ve followed Tamar for awhile then you’ve probably heard her say several times that she hates being late. She said that several times when she used to host The Real and she’s said that several times on Braxton Family Values. 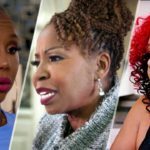 So when she showed up late to the taping with Iyanla Vanzant I thought it was strange for her. And so I can believe that she was set up. And I can believe that Iyanla was really going off on the production company, because it looked like Tamar was agreeing with Iyanla at first, when she said “that’s what I’m talking about too” and THEN Iyanla started going off on her too. Leave a comment and let me know what you think. Do you think the production company set up Tamar by telling her to come at a later time than the rest of the sisters? Or do you think she really was late and is just making excuses? 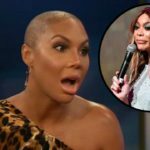 And let me know what you think of Tamar’s new confessional look with her bald head? I think she looks beautiful with short hair and I think she’ll look beautiful when she decides to grow it out again. ← Kevin Hart Called Out AGAIN For Colorism! I submitted your name for vidcon.